Could Ralph Northam be Impeached? | News and Features | Style Weekly - Richmond, VA local news, arts, and events. Could Ralph Northam be Impeached? Scott Elmquist Gov. 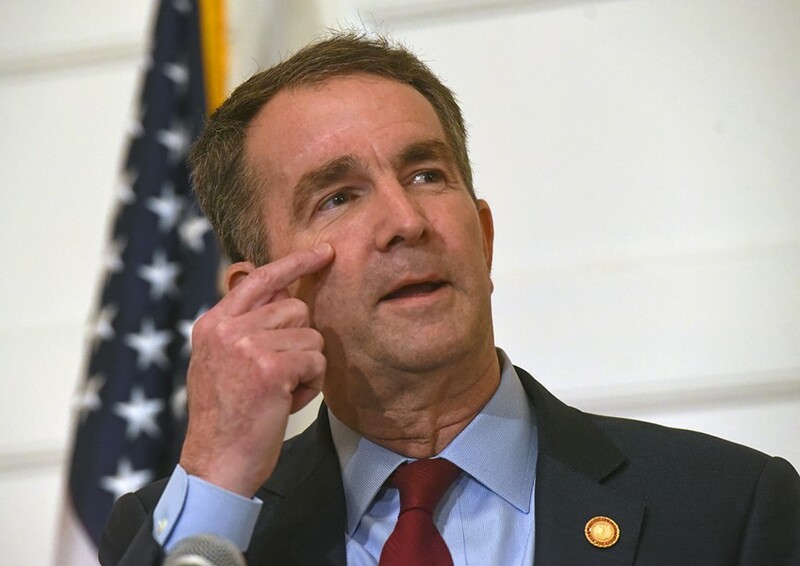 Ralph Northam faces the press on Feb. 2, saying that he did wear blackface in 1984 but not in the yearbook photo. Virginia's Constitution says governors can be impeached for "malfeasance in office, corruption, neglect of duty, or other high crime or misdemeanor" by the House of Delegates, with the state Senate then empowered to vote on the impeachment. It would take a vote of two-thirds of the Senate to remove an impeached governor. When was the last time a Virginia Governor left office early? Henry H. Wells, a Michigan lawyer and Union Army colonel who served as head of military police in Alexandria, was appointed governor in 1868 but resigned immediately after Democrat Gilbert Walker won the special election of September 1869, and named Walker as provisional governor. At the time, no one served as lieutenant governor. Ever since then, governors have served their full terms -- and Doug Wilder stirred some controversy when he floated the idea of a run for presidency while he served as governor. What happens if the lieutenant governorship is vacant? The only two times that has happened, with the deaths of Lewis P. Collins in 1952 and J Sargeant Reynolds in 1971, Virginia held special elections to select successors. But the 1971 state Constitution does not say anything specific about filling a vacancy for lieutenant governor, which means it is up to the governor to do so. If the post is empty and something happens to the governor, the Attorney General becomes governor, and if he or she can't, the Speaker of the House does. Elected lieutenant governor in 2017, Fairfax served as Assistant United States Attorney for the Eastern District of Virginia in the Major Crimes and Narcotics Unit, and as deputy coordinator of the Northern Virginia human trafficking task force before going into private practice. He made an unsuccessful bid for the Democratic nomination for Attorney General in 2013. That year, the National Bar Association named him one of the nation's top 40 lawyers under the age of 40. Fairfax grew up in Northeast Washington, D.C., in a home his grandparents helped his mother to buy after her divorce. He went to Duke University and Columbia University's law school on scholarships. The descendant of slaves, in their honor he has made a point of stepping from the state Senate over which he presides when senators make their annual tributes to Robert E. Lee and Stonewall Jackson. He is married to Cerina Fairfax, a dentist. They have a son, Cameron, and daughter, Carys. What does reaction to Northam's yearbook photo say about Virginia today? Virginia shut down its public schools in the 1950s rather than integrate them, but our troubled history on race relations has left a majority of 21st century Virginians with little tolerance for racist statements or attitudes. George Allen's bid for re-election to the U.S. Senate in 2006 collapsed after he called a campaign worker for his opponent a racial pejorative. Corey Stewart's defense of Confederate memorials alienated some voters in his bid last year for the Senate. Staff writer Marie Albiges contributed to this story.